This February, Escuela Integrada will welcome its first Catholic mission team from St. Mary’s and St. Rose of Lima, two parishes in northern New Mexico. The relationship between the Catholic parishes and the school began in the fall of 2017, when Father Josh Mayer, pastor of St. Mary’s and St. Rose of Lima, and Father Daniel Ciucci, parochial vicar of St. John the Baptist Catholic Church in Longmont, Colorado, discerned a partnership with the school. 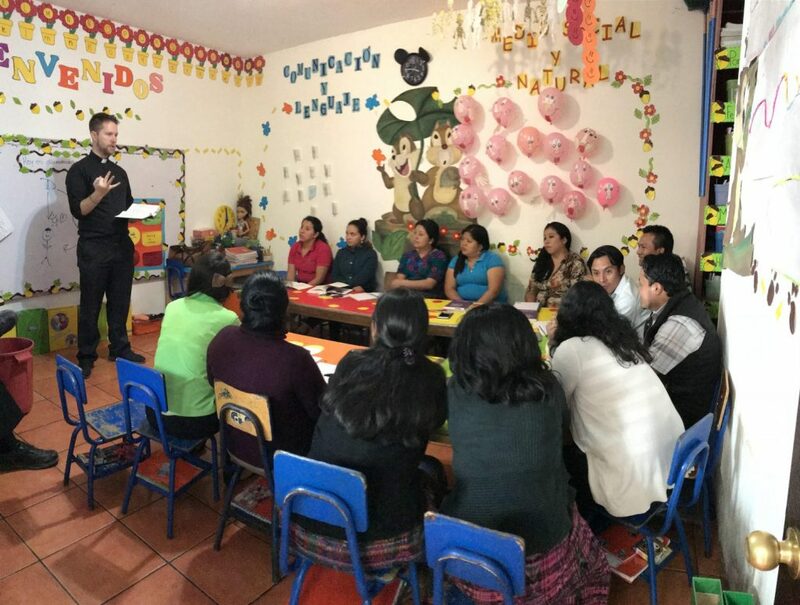 Father Josh and Father Daniel first visited Escuela Integrada in January 2018, where, amongst other activities, they led the teachers and staff in a retreat using Matthew Kelly’s book, Rediscovering Jesus. The book, generously provided by The Dynamic Catholic Institute, is a 28-day meditation with short reflections about developing a personal relationship with Christ. Father Daniel Ciucci leads the teachers in a retreat using Matthew Kelly’s book, Rediscovering Jesus. “I think that one of the lightbulb moments was that we as Catholics consider ourselves Christian too, and that Christianity encompasses all who follow Jesus as the promised Messiah,” Father Daniel Ciucci said. “Our goal in providing a retreat for the teachers was to do the work of knowing Jesus, not just knowing about Jesus. Religious instruction can give many data points on Jesus, but it takes an encounter to truly know Him, and the retreat was to help them understand that that is already possible. The two priests spent time in the classrooms, visited homes and learned about the school’s most-pressing needs, one of which was the desire to partner with a Catholic ministry. Guatemala is historically and traditionally a Catholic country, with roughly half of the population professing Catholicism as their religion. Recognizing and reaching the students, teachers and staff who are Catholic is an important part of the ecumenical outreach of the school. The tensions between the Catholic Church and Evangelical churches in Guatemala run deep. Catholics often fear the “conversion mission” of Evangelical organizations, and Evangelicals often fear the mysticism of the Catholic Church. The rift is historical and cultural, yet there is room for an ecumenical partnership to heal the longstanding divide. The idea of an ecumenical mission is to promote unity among different denominations in service of others. 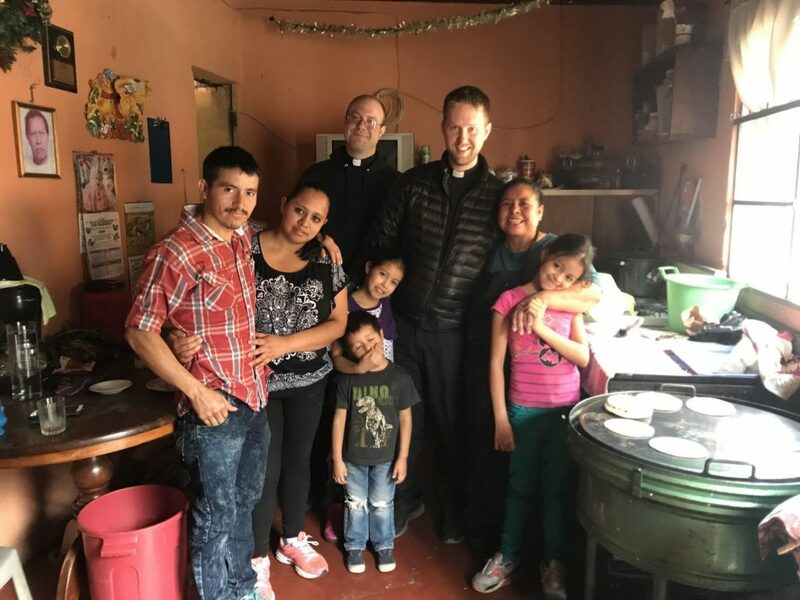 Father Josh and Father Daniel visited and blessed the homes of families from Escuela Integrada during their visit in January of 2018. A true ecumenical ministry strives to set religious differences aside in favor of sharing the message of Jesus Christ that transcends denominations. The idea of an ecumenical mission is to promote unity among different denominations in service of others. Escuela Integrada does not profess a particular Christian denomination, but rather focuses on the salvation message of Jesus Christ, which is the foundation of all Christian denominations. Both priests returned to their respective parishes and prayed about a continued partnership between the Catholic Church and Escuela Integrada. Father Daniel currently serves as a parochial vicar as he is in his first couple years of ministry as a priest. He will continue to pray for the school and will discern future partnerships with Escuela Integrada. 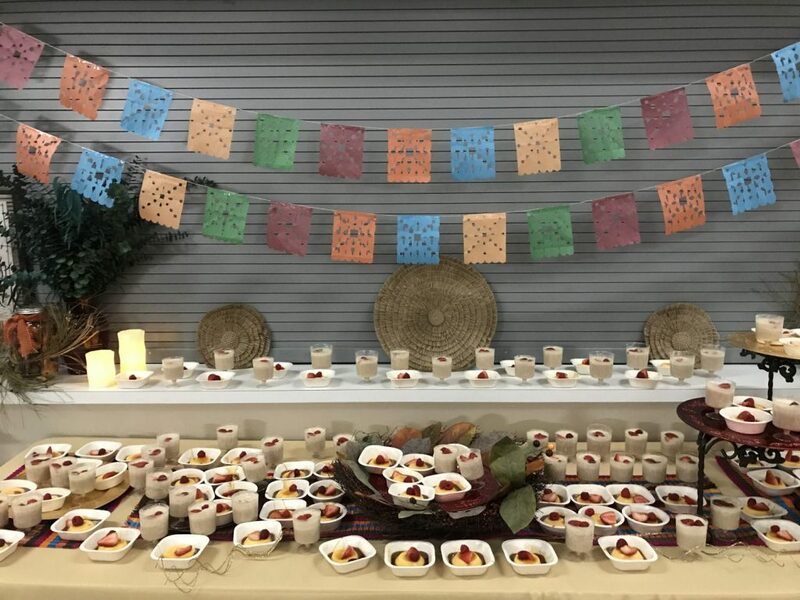 St. Mary’s parish in Bloomfield, New Mexico, hosted a benefit dinner in November of 2019. Attendees enjoyed a “Latin fusion” cuisine and bid on silent auction items, while learning about Escuela Integrada. As pastor of his parishes, Father Josh was able to commit their mission to serving Escuela Integrada. They began to plan their first mission trip and held a benefit dinner in mid-November, where they raised nearly $4,000 to help offset travel costs for their mission team. Attendees enjoyed a Latin Fusion cuisine, participated in a silent auction and listened to stories about Escuela Integrada. Coinciding with the start of the new school year, Father Josh’s parishes also began sponsoring the kindergarten classroom through the Classroom Sponsorship program. At a value of $1000 per month, the sponsorship provides the salary for the classroom teacher, along with classroom supplies and additional activities for the children. On February 10, Father Josh and 10 parishioners will arrive in Guatemala to spend a week serving Escuela Integrada. For several members of the team, it will be their first mission trip and first time outside of the United States. The group will be visiting many families’ homes, bringing food with them and installing a few stoves. Father Josh will also lead the teachers and staff in discussions using the Alpha, an interdenominational program to assist in the work of evangelization. Father Josh’s mission team will also engage in cultural activities to learn more about Guatemala and get to know the community of Escuela Integrada.